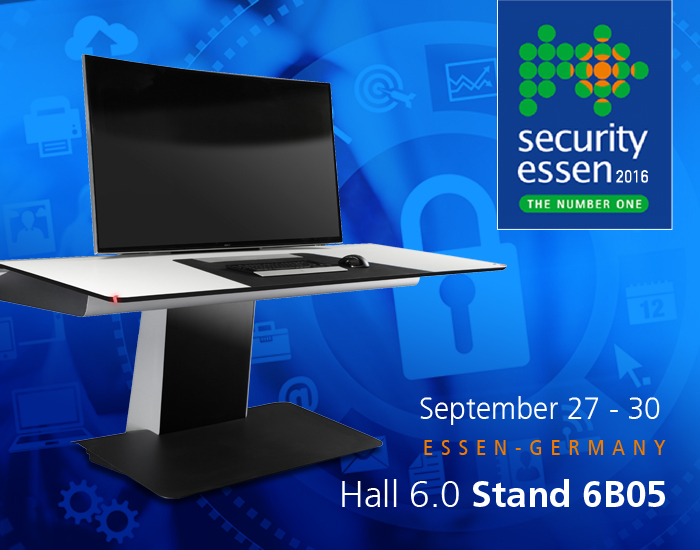 GESAB, leader in the field of control rooms for the security sector will present its comprehensive solutions. The stand visitors may discover the novelties and projects of GESAB through virtual reality thanks to the GIE VR system. From September 27 to September 30, GESAB will attend the new edition of Security Essen, world reference fair for the security sector. GESAB attends this international event with the latest trends and technology for rooms and control centres. Comprehensive solutions that adapt perfectly to the requirements of the NOC and SOC control centres. GESAB will attend the event with two of its flagship consoles: ACTEA and Advantis NG. For its performance and functional design the ACTEA console creates an unique user experience, its adaptive central column and the most advanced technology make of this a reference console for any control centre. On the other hand, the Advantis NG console has the Sit & Stand system that allows workers to work in different positions always with maximum connectivity: power and control for an efficient and safe environment. GESAB will offer the opportunity to its stand visitors of discovering its projects in a different and fully immersive way: a first-person experience. Thanks to the virtual reality GIE VR system (Gesab Immersive Experience), the visitors can feel inside a control centre. Complete solutions for security control environments in which the needs of the customer set the standard for developing unique projects. 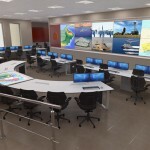 A good example is the Command and Control Centre of Mecca, a large dimensions control centre from which more than 500 operators monitor the traffic and the safety of the city of Mecca. GESAB has 25 years at the forefront of the technology that, together with its wide international experience, place it as a leading company in its sector. Its extensive know-how and the constant pursuit for innovation result in functional and comprehensive solutions for any project: pure customization.